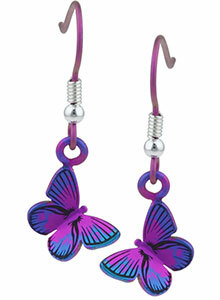 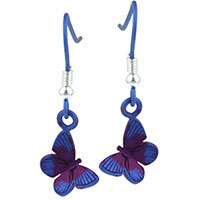 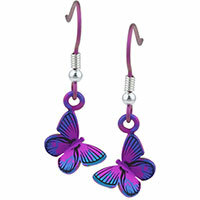 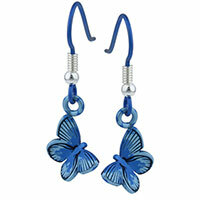 Hypoallergenic Ti2 titanium 10mm butterfly dangly earrings. 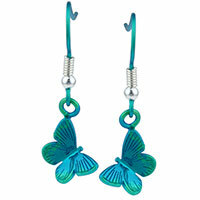 The butterfly's wings are angled upwards for a 3D effect (see photos). 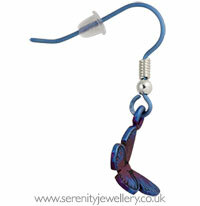 Ti2 Titanium drop earrings are very light, they come with clear hook stoppers which we recommend you always wear with the earrings as being so light can make them more likely to fall out without.